A Unique Online Course that will Transform Menopause into an Opportunity for Growth and Self-Empowerment. Do you believe older women have in important role to play in the changes our world needs at the moment? For many women, menopause is something to be dreaded. It is seen as a problem to be cured. In truth, menopause is the powerful transition to becoming a wise crone. 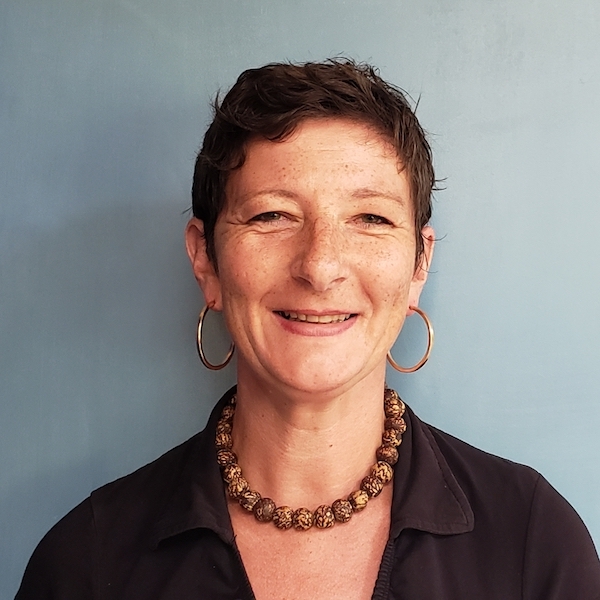 To make the most of this journey of birthing ourselves into our true, powerful authentic selves and midwifing others, women need information, insights and tools, which this workshop offers. More than anything right now, our global and local communities need wise, mature women leaders and healers. With the right tools, a woman can transform her experiences into wisdom, instead of mourning what she is leaving behind. If a woman is able to live the journey to menopause as a passage to her true maturity, she can embrace the wise woman she is becoming. Aroma and the Alchemy of Menopause workshop will give women the tools to turn inwards and transform the way they view this phase of life. Using Jungian concepts and aromatics, this workshop leads women through the alchemical stages of menopause. Set intentions; define your motives and desires. Define and identify the experiences that are going to be transformed into your wisdom. Unveil parts of your Shadow, revealing your hidden strengths and talents. Work with your inner masculine and explore this sacred relationship in depth. 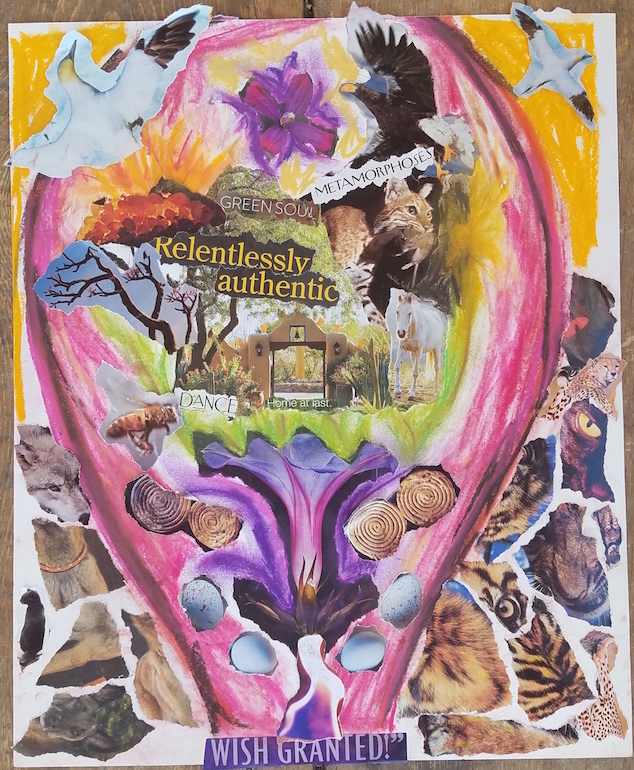 When the preparative work has been done, the seven alchemical stages will guide you deeply and profoundly into your true authenticity and power, revealing the messages and experiences that lie behind hot flashes, night sweats, emotions and sexuality, transforming menopause into an exciting, empowering, transformative rite of passage. A new language and perspective of menopause. Meeting and building a healthy relationship with our animus (inner masculine). Understanding hot flashes in a new way. Loving and inhabiting our bodies. A deep understanding of the mother archetype in all her guises and how we relate to her. A deep understanding of the masculine archetype and how we relate to him. An inner marriage that fulfills our needs for independence. A color PDF of The Alchemy of Menopause workbook. 9 hour-long videos – 1 per month during 9 months + an extra introductory video in the first month and an extra concluding video in the last month = a total of 11 hours of videos. A weekly email with exercises and advice guiding you through the month’s theme/alchemical stage. A private facebook page for sharing and exchanging with myself and other participants. A live facebook video per month to answer questions. A certificate from Aromagnosis giving you the right to use the workbook to facilitate women’s groups on The Alchemy of Menopause. A clay goddess, handmade by Cathy from Taos mountain clay and blessed for each woman is optional and can be purchased at the end of the class for 30$. I use a selection of 17 specially chosen oils for the work to help deepen connection with the unconscious. 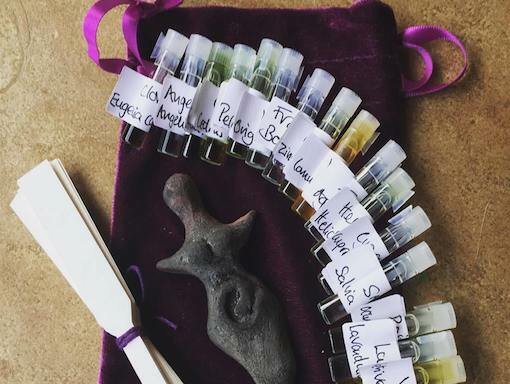 For those people who want to use the same oils, I offer a beautiful kit containing 17 x 0.5ml vials of specially selected oils + 20 scent strip on a velveteen bag for 80$ + shipping and handling https://cathysattars.com/product/alchemy-of-menopause-kit/ . However it is also quite possible to follow the class and not use oils at all or use oils that you have already. The handmade clay goddess is made by Cathy with locally harvested Taos clay. It is pit fired on the mountain and each one is individually blessed. One goddess can be bought per participant for the sum of 30$ if desired, uniquely at the end of the class as a present to one’s newly birthed self. Yes, the course is online, each month a link to a video will be sent to you. Each week you will receive an email with exercises and work related to the month’s video. The video links are yours once you receive them and you will have the emails so if you are not able to complete the month’s work, you can take more time. Begin the class when you want, take as much time as you want and have lifetime access. How do I complete this class to certification level? When you have completed this class you will be sent details of how to complete the final paper explaining your experience through the seven stages and how they relate to menopause. On completion for this final paper you will receive your certificate. Does the course contain video or audio content? The course contains 11 hours of video teaching. You will be able to take your time, watch the videos as many times as you like, pause and replay in order to make sure you have captured all the important points. Do I have to live in the States to sign up? Absolutely not! Aromagnosis has students from all over the world. Yes, the course has a private Facebook group for sharing and exchanging with other students.